Lisa Spiro serves as the Executive Director of Digital Scholarship Services at Rice University’s Fondren Library, where she oversees the Rice Digital Scholarship Archive, the Digital Media Commons, and the Kelley Center for Government Information, Data and Geospatial Services. 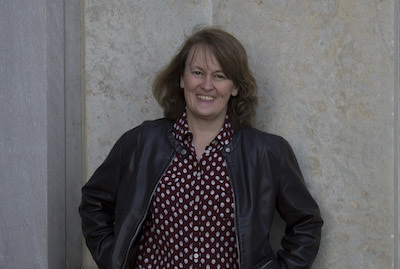 She has published chapters in The Arclight Guidebook to Media History and the Digital Humanities, Digital Humanities Pedagogy, Debates in the Digital Humanities, Collaborative Approaches to the Digital in English Studies, and The American Literature Scholar in the Digital Age. She also authored reports for the Council on Library and Information Resources on digital scholarship expertise (with Vivian Lewis, Xuemao Wang and Jon Cawthorne, through a Mellon-funded research project), the prospects for an all-digital library (with Geneva Henry), and archival management software. Lisa was the founding editor of the Digital Research Tools (DiRT) wiki, a PI for the IMLS-funded Travelers in the Middle East Archive, chair of the communications committee for the Alliance of Digital Humanities Organizations, and a member of the Executive Council of the Association for Computers and the Humanities. Currently she is a co-PI for the Mellon-sponsored Resilient Networks to Support Inclusive Digital Humanities. She received a PhD in English from the University of Virginia and a BA in history and English from Rice University. Skills and expertise: Digital humanities; planning and managing digital projects; writing grant applications; digital pedagogy; text analysis; developing digital collections; research data management; user studies; publishing and scholarly communications; open access.